With Labor Day behind us (and we hope you all had a good one! ), we are full force into our fall schedule. We’re now open Mon-Fri 7am-6pm; Sat 9am-6pm; Sun 11am-6pm. Read on to find out more about all the fun we have in store for you. Ready to take on the next frontier? 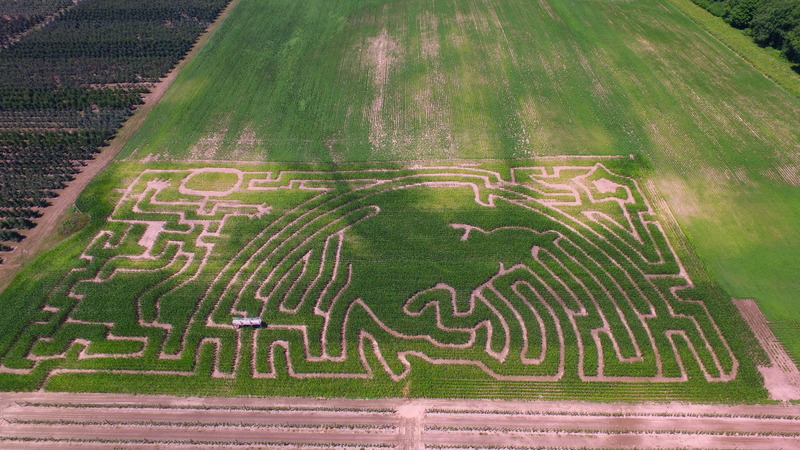 Our outer space-themed corn maze is ready for you! It takes some brain work to get through the twists and turns of the maze (if you want to learn more about how it works, check out this page), and it’s a great activity for groups—families, friends, church, work, social, scouts… you name it! The maze is open normal business hours on Saturdays and Sundays during the months of September and October. The maze is also open by reservation on Friday afternoons during October and other times during the week. The last tickets are sold one hour prior to closing, so make sure you give yourself enough time to go through! One of the most fun, but lesser known activities that we offer at Schwallier’s Country Basket are bonfires. Groups (five people or more) can schedule a private bonfire on weekend afternoons or nights. Bonfires can be after market hours, so you get the place to yourself. Bring flashlights and head on out into the corn maze for an unforgettable experience, then relax and kick back around the fire (once you find your way out!). You can either bring your own supplies, or we can provide them for you: $9/person for our bonfire kit, which includes s’mores, a hot dog and bottled water (plus entry to the maze). Bonfires are available weekends when the corn maze is open. Call us (616-785-9896) now to make sure your group gets the chance to have fun under the stars out on the farm this fall! It just wouldn’t be fall without fresh-picked produce now, would it? Our raspberry patch is still going strong, so head on out there and gather up some beautiful, juicy berries while they last. They are awesome on their own, in smoothies and other recipes, and in jams. 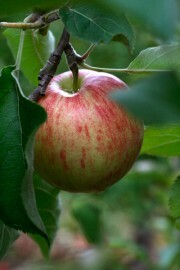 More apple varieties are ripening now too. We have Macs, Galas, Cortland, Blondees and Honeycrisp available for u-pick this week. In the market, we’re currently carrying SweeTangos, Blondees, Macs, Ginger Golds and Galas. We also have huge, beautiful peaches available in the market. Come and get ’em! That’s just a smattering of all that we have going on! Be sure to check out our Facebook page for more updates. And just to let you in on a little sneak preview: Coming very soon to (the one and only) Schwallier’s Country Basket near you… APPLE CIDER! We’ll let you know as soon as we have this year’s first fresh-pressed batch in. Enjoy the week!